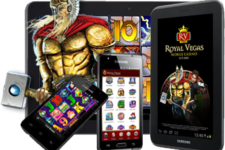 Here on Android Tablet Casinos we try to provide you with as much information as we possibly can. But we’re limited in just what we can do. So, to make sure you are always well informed, take a look at the links displayed on this page. These are all geared towards Canada Android users, but not all are gambling related. Appolicious: This is a marketplace for top Android apps. It is a great place to discover them and a great place to learn all about this great mobile platform. You can browse reviews on thousands of apps across a number of sections, including Simulation, Arcade and more. AndroLib: This is another great place to find all of the latest and greatest Android apps on the market. If it is new and worthwhile then you can learn about it here. There are music apps, video apps and even a few gambling apps. AppBrain: If you have an Android app of your own then you can visit this page to get some help promoting it and growing it. There are thousands of new apps being released on the Google Play Store every day, so there is no shortage of competition out there. Problem Gambling: This is a serious problem in Canada, and the more informed you are, the better equipped you can be to handle the situation. This site will show you what help is available to you, what the symptoms of gambling addiction are, and much more. CAMH: This is the Centre for Addiction and Mental Health. They have a large section on gambling addiction, which is as much of an addiction as it is a mental health problem. What’s more, many gambling addictions actually go hand in hand with mental health problems. They are either at the root of the problem, or they can lead to such a problem. Problem Gambling Helpline: If you have a problem with gambling and you need some help, then this is the place to get it. This helpline is available across Canada and they can hep you without any catches, without any strings attached. You do not even need to give them your name. Anonymity is essential for many addicts, so this is the perfect helpline and one that can help you get your life back on track. Android Central: This is one of the very best Android sites out there. 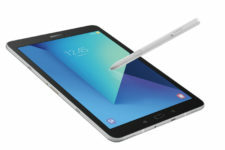 There are forums where you can chat with fellow Android users and developers, and there are also blogs discussing the latest releases an the latest changes to the Android platform. Unlike iOS, which merely goes through a few updates, Android has an occasional overhaul, so it is important to stay on track of these changes and to understand just what the new features are. iOS Info: We’re not just about Android on this site. So, if you have an iOS device then you might want to check this site out. It is one of the biggest and the best out there for users of this popular Apple operating system.